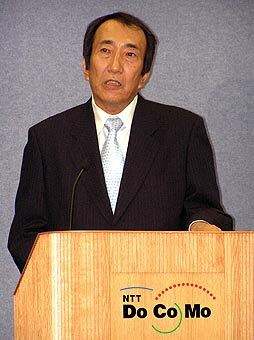 NTT DoCoMo and Hewlett-Packard just announced they have been conducting joint research with the goals of developing a new application platform to interconnect cellular telephone systems and sensor networks and the development of a prototype of new middleware platform. Designed to work with networks found in homes and businesses that utilize sensors relying on a variety of transmission methods the Sensor Network Middleware Platform enables interactive communication between those networks and mobile phones. i-mode Strategy is reporting that Telstra's recent launch announcement of their new "Next G" service lacks any reference to the carrier's past commitment to i-mode. The closing paragraph states: Personally, I'll probably buy Next G, although I'd prefer a Nokia handset and they seem to be left out in the cold (not to mention NEC who are not on offer for Next G and given their dependence on the success of i-mode, which is finished, will probably close down their mobile division in Australia). Strategy Analytics released this new report 'Mobile Contactless Payments - Growth on the Horizon' analyzing payment for goods or services using phones instead of cash, credit or debit cards. At a global level, activity in the mobile phone contactless payment market today is still negligible; over the past two years the only bright point has been the FeliCa service in Japan, which has provided a model for the speed with which services can take off if the right players and the right structure are put in place. 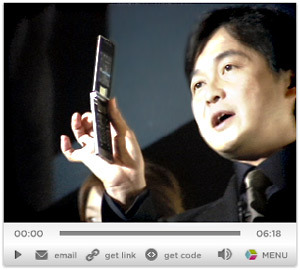 The report estimates that FeliCa will drive $900 million worth of payments in Japan during 2006. SoftBank Mobile and HTC Corp. held a press conference at the Imperial Hotel in Tokyo today to annouce 14 October as roll-out date for HTC's X01HT smartphone which is compatible with the carrier's new high-speed HSDPA 3.5G network. 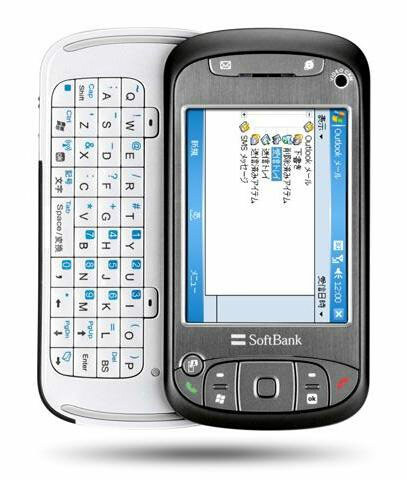 SoftBank also confirmed their new dual-flat-rate pricing plan offer of unlimited data usage for 9,800jpy per month with a limited time trial offer of 5,700jpy until January 2007. 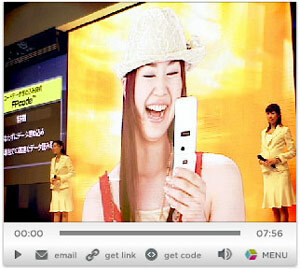 We have video here of the same unit at DoCoMo's booth during the Wireless Japan 2006 trade show in July. Despite the resounding silence from DoCoMo's website, Tower Records (part-owned by DoCoMo) have just introduced a joint-venture service with Napster in Japan. The Tower Records Japan-Napster JV will provide music distribution services for PC and mobile from an initial catalogue of 1.5 million songs. The initial service launch only allows content purchased by premium subscribers - a subscription costs 1,980 JPY per month - to be moved from the PC to mobile devices - and at this time only one handset (F902is) is supported. The September presser with NTT DoCoMo's President Nakamura contained some interesting bits of info on 3G coverage; WWJ subscribers can log in and listen to the entire event on MP3 audio (see today's Viewpoint). Yes, I know that there has been an ongoing drumbeat in the media reporting spotty coverage for FOMA users. But Nakamura devoted a lot of time to explaining their ongoing and upcoming base station and 3G FOMA network coverage plans, emphasizing that the carrier would boost coverage at "JR stations, universities, junior colleges and high schools." Nippon Television Network (NTV) and NTT DoCoMo have jointly developed a system to distribute and store video-embedded e-coupons and e-cards to and in cellular phones capable of receiving one-seg terrestrial digital broadcasting. The system uses the one-seg data broadcasting band to automatically store broadcasting program information in a one-seg-capable handset regardless of whether or not it displays broadcast video. NTV and DoCoMo are considering distributing location-dependent coupons and coupons intended for users with target attributes.